It’s our goal to ensure our partners are aware of Spotlight’s extensive range of product features and know how they can utilise them to do valuable work efficiently. 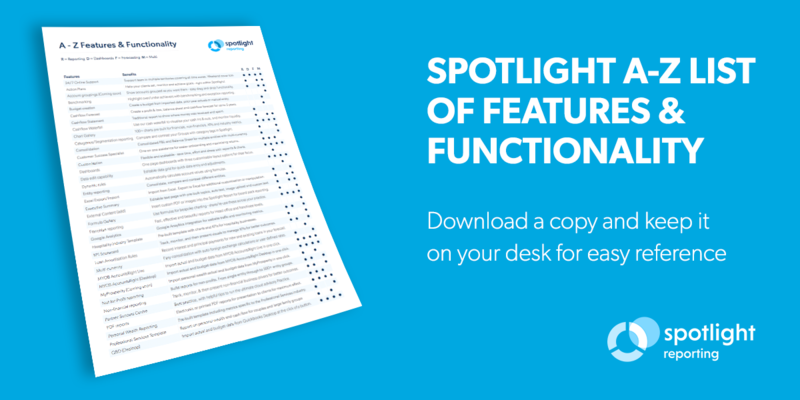 This handy one-pager will give you a full A to Z list of features and functionality across our four products. To download PDF one-pager, please complete the form on the right hand side.